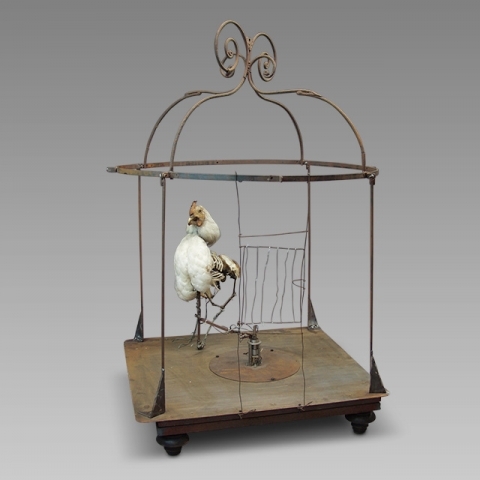 1993-1996 electromechanical automaton: stuffed rooster, turkey carcass, pins, wire, Achilles Orsoni voice and metal cage. Gilbert Peyre speaks derisively of anglicisms. Gilbert Peyre, which sets in 1977 its first pulp characters in his Montmartre studio is an autodidact, he became over time stage director artist. 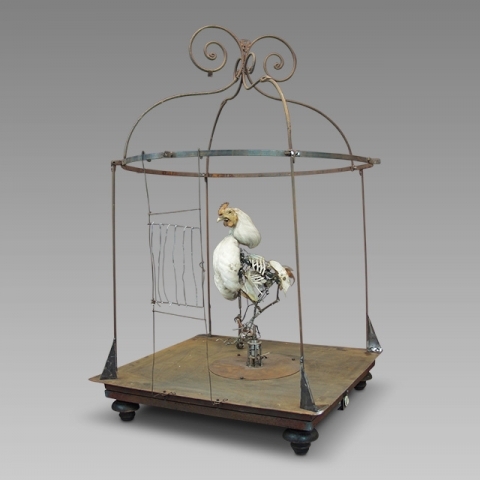 The mechanical objects are enriched with electronic and pneumatic. 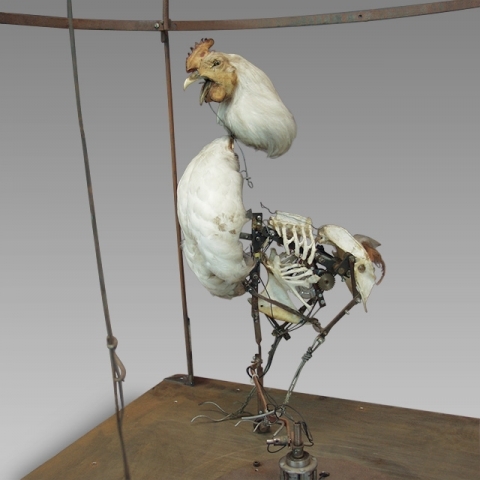 He first exhibited his mania-electro-mechanical sculptures in art galleries (Duval-Dunner, Mostini), museums (Arts Decoratifs, Bourdelle), art centers (Montbéliard, Cartier Foundation), at the FIAC and in a major retrospective at the Musée de la Halle Saint-Pierre à Paris ('Fin de chantier' - 2000-2001). 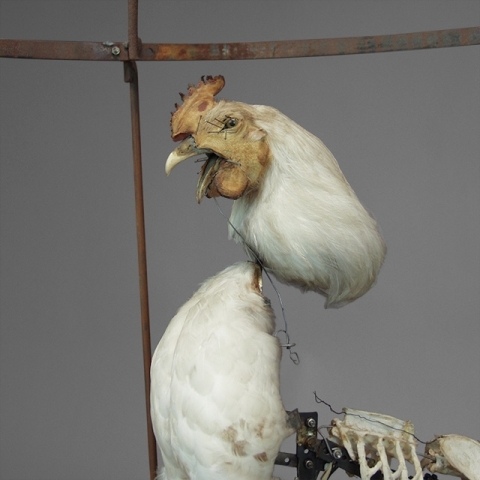 Stuffed rooster, turkey carcass, pins, wire, Achilles Orsoni voice and metal cage.